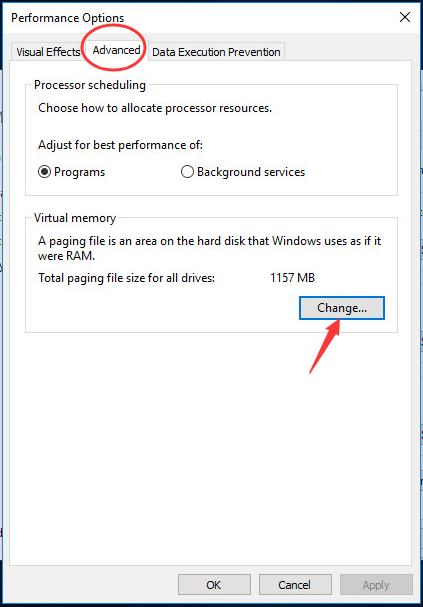 The Your Computer is Low on Memory warning may occur when you’re doing work on your Windows 10 or when you try to play video game. It means your Win 10 is of low virtual memory. 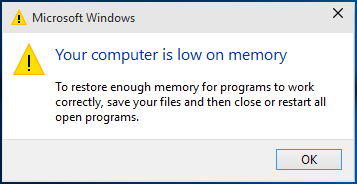 That’s because some programs on your Win 10 takes too much allocation of memory. If you click OK as recommended, you may probably see the same error. So how to get rid of this error? Don’t panic, you’ll learn two easy ways to fix the error. 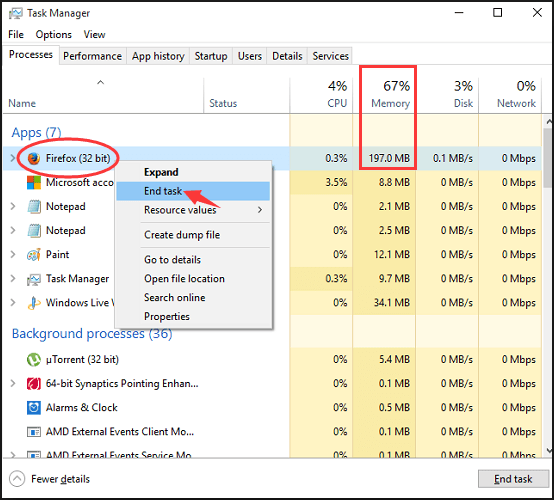 Some processes using too much memory can cause Your Computer is Low on Memory error in your Win 10. Just end them to fix it. Note: Except for system processes. 1) On your keyboard, hold down the Shift and Ctrl keys together, then press the Esc key to open Task Manager. 2) The process at the top of the list is using the most memory. Then right-click on the process’s name and choose End task. Now see if the warning still pops up. 1) On your keyboard, press the Windows logo key and X at the same time to bring up the quick-access menu. 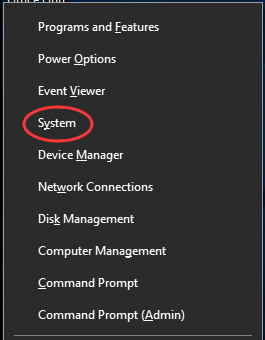 3) Click Advanced system settings. 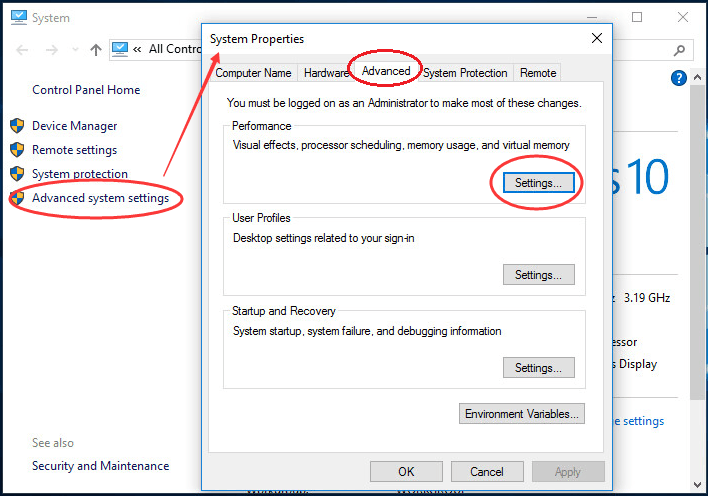 Then click Settings under Advanced pane on System Properties. 4) Go on to click Change under Advanced pane. 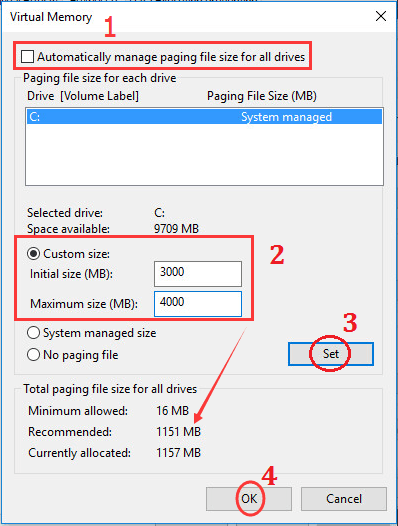 5) Uncheck Automatically manage paging file size for all drives. Tick on Custom Size. Set Initial size and Maximum size properly. Now see if your program or game works properly. Hopefully this post helps you fix the problem.